Take a moment to meet Carter White, our AmeriCorp member! Take a moment to meet Carter White, our AmeriCorps member! 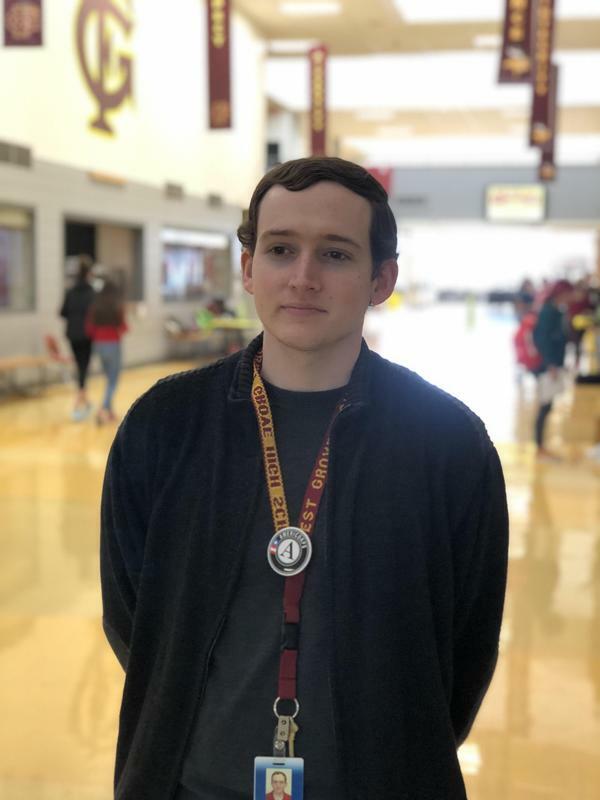 My name is Carter White and I have been given the opportunity to serve at Forest Grove High School as part of the Partnership for Student Achievement (PSA) AmeriCorps team. I moved here from Alabama having just recently graduated from the University of Alabama in August. During my time at university I studied History and Japanese as my Major and Minor. As a seniors are wont to do I had a desire for some kind of a break from traditional schooling before returning to pursue a graduate degree. This in part is what led me to join AmeriCorps. AmeriCorps is a great program where one can learn through serving while giving back to the community. Like many AmeriCorps, I am looking to take what I’ve learned during this year with me into the future as I plan securing a Masters of Arts in Teaching following the completion of my term. AmeriCorps is the National Service initiative signed into law by President Clinton in 1993. Through AmeriCorps, thousands of Americans of all backgrounds have met community needs and earned education rewards in return. AmeriCorps joins a long tradition of efforts encouraging and rewarding service dating back to America’s beginning and including Civilian Conservation Corps, the GI Bill, and the Peace Corps. Above all, AmeriCorps helps communities meet their education, public safety, human or environmental needs, both through their own direct service and by mobilizing the volunteer service of other Americans. AmeriCorps unites individuals from all different backgrounds - and organizations of different kinds - in a common effort to improve our communities. AmeriCorps encourages members to explore and exercise their responsibilities to their communities, their families, and themselves during their service experience and throughout their lives. AmeriCorps helps those who help America. AmeriCorps members receive rewards to further their education or to pay back student loans, as well as invaluable job experience, specialized training, and life skills. The mission of Partnerships for Student Achievement (PSA) is to increase student academic achievement in Washington and Yamhill County Schools. The AmeriCorps Team will improve academic achievement through tutoring, mentoring, extended school day activities, specialized projects & initiatives, and volunteer generation. The value of service will be demonstrated to the community at large and a stronger network of involved citizens will be generated.